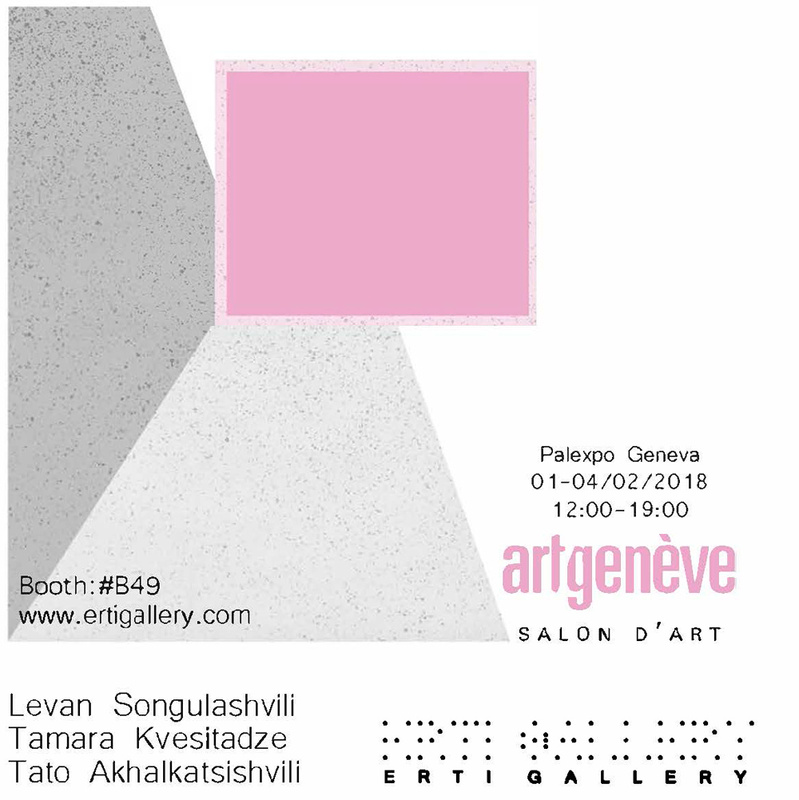 ERTI Gallery is delighted to present works of contemporary artists Tato Akhalkatsishvili, Tamara Kvesitadze and Levan Songulashvili at Art Geneve 2018, booth #B49. Tato A. 1979, born in Georgia, currently lives and works in Tbilisi, Georgia. Since 2013 Tato is developing a body of work, where the memories of his own childhood are merged with sensitive imaginations in a dream like surreal scenes. Landscape had always been the major component and the subject of his paintings, mainly as a metaphoric depiction of “the place” rather than a representation of a specific location. His late works. His late works depicts transcendental feelings and psychological conditions, which usually accompanies the issues of existentialism and the search for the blurred future. Tamara Kvesitadze (1968) counts among the most reputable artists from Georgia. Having first been featured in a group show at the Georgian Pavillion in Venice in 2007, she would go on to represented Georgia with a solo presentation at the 2011 Venice Biennale. Her works are in numerous international private and museum collections, and she has public sculptures in various locations all over Georgia including the sculpture Men and Woman at the port of Batumi. “Any direction” is important artwork with its unique style, which is made in 3D format, it’s a first time when the artist shows 3D format in watercolor paintings. The tension in the relationship between genders is a main focus of her works. Violence and sexuality are intertwined. Faces, masks and fragmented bodies symbolize the internal of modern individuals, their emotions, their strive for happiness and fulfilment, their fears and hopes. Levan Songulashvili (1991), a New York – based visual artist, his works can be found in public and private collections, including the Brooklyn Museum’s Permanent Collection. In January 2018, Songulashvili has been named The Top Artist of the year 2017 from ArtistADay. At Artgeneve ERTI presents his recent works form “The STYX” series, comprised of large – scale canvases that feature large expanses of grey-black washes infused with an otherworldly light; vast tonal shifts; and a primordial glow that hovers between the mythic and the bioluminescent. More surprising, however, is how these formal and stylistic concerns perfectly mimic the transformative powers of the subject matter that inspired them: a species of jellyfish – Turitopsis Dohnii – that scientists have deemed “Immortal” for its ability to endlessly regenerate itself. A jellyfish from the river Styx is the metaphor for the origin of life, its endless cycle and regeneration.